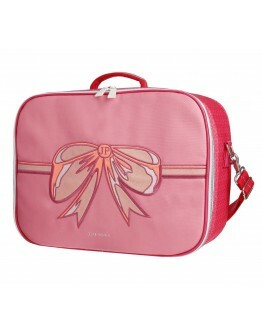 JEUNE PREMIER Jeune Premier suitcase - Mini Bow - Jeune PremierThis beautiful pink Jeune Premier suitcase Mini Bow with the beautiful bow print is super hip for cool sweet girls! 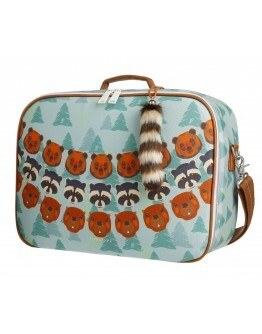 This suitcase of Jeune Premier is the most beautiful and most adorable suitcase ever! Fill in your suitcase with all your stuff when you go to grandma and grandpa, spending the night. 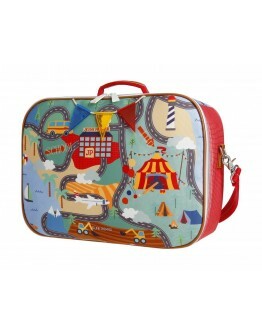 Or does your little one going to the nursery then it is useful to give a hug and some spare clothes in this fun suitcase. 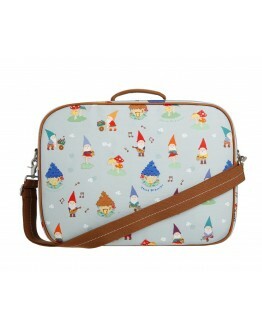 Th..
JEUNE PREMIER Jeune Premier suitcase - Mini Forest Boys - Jeune Premier This beautiful Jeune Premier suitcase Mini Forest Boys with beautiful animals print and funny tail is super hip for cool little boys! 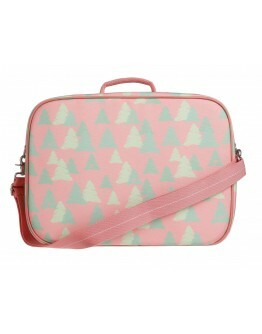 This suitcase of Jeune Premier is the most beautiful and most adorable suitcase ever! Fill in your suitcase with all your stuff when you go to grandma and grandpa, spending the night. Or does your little one going to the nursery then it is useful to give a hug and some spare clothes in th..
Jeune Premier suitcase - Mini Forest Girls - Jeune Premier This beautiful pink Jeune Premier suitcase Mini Forest Girls with beautiful animals print and funny tail is super hip for cool sweet girls! 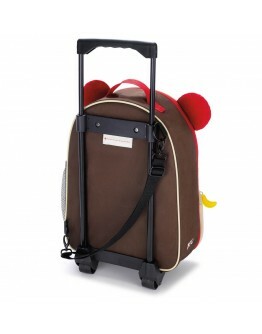 This suitcase of Jeune Premier is the most beautiful and most adorable suitcase ever! Fill in your suitcase with all your stuff when you go to grandma and grandpa, spending the night. 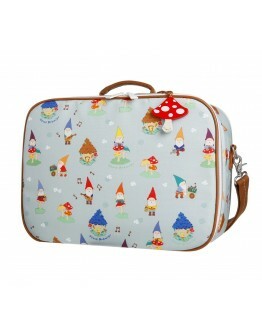 Or does your little one going to the nursery then it is useful to give a hug and some spare clothes in ..
Jeune Premier suitcase - Mini Gnomes - Jeune Premier This beautiful Jeune Premier suitcase Mini Gnomes with beautiful gnomes print and is super hip for cool little boys and girls! 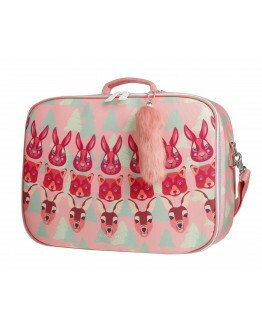 This suitcase of Jeune Premier is the most beautiful and most adorable suitcase ever! Fill in your suitcase with all your stuff when you go to grandma and grandpa, spending the night. 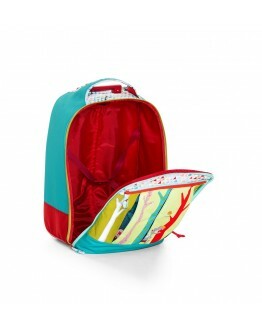 Or does your little one going to the nursery then it is useful to give a hug and some spare clothes in this fun suitcase. This..
JENUNE PREMIER Jeune Premier suitcase - Mini Roadmap - Jeune PremierThis beautiful Jeune Premier suitcase Mini Roadmap with beautiful traffic print and funny flags is super hip for cool little boys! 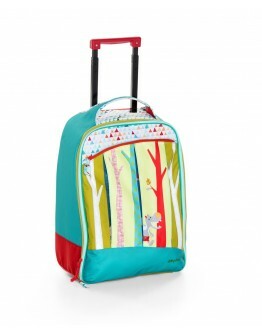 This suitcase of Jeune Premier is the most beautiful and most adorable suitcase ever! Fill in your suitcase with all your stuff when you go to grandma and grandpa, spending the night. 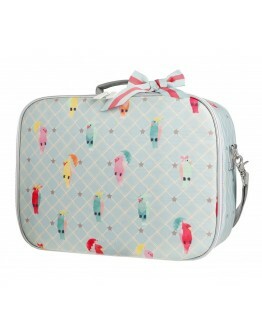 Or does your little one going to the nursery then it is useful to give a hug and some spare clothes in this fun s..
Jeune Premier suitcase - Posh Parrots - Jeune Premier This beautiful Jeune Premier suitcase Posh Parrots with a beautiful bow and cute parrots print is super hip for cool sweet girls! 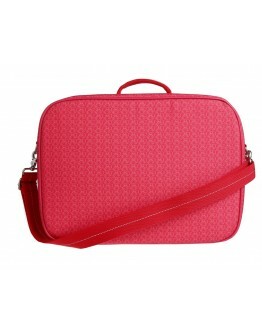 This suitcase of Jeune Premier is the most beautiful and most adorable suitcase ever! Fill in your suitcase with all your stuff when you go to grandma and grandpa, spending the night. 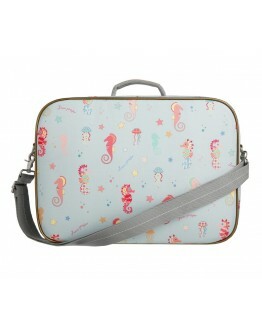 Or does your little one going to the nursery then it is useful to give a hug and some spare clothes in this fun suitca..
Jeune Premier suitcase - Seahorse - Jeune Premier This beautiful Jeune Premier suitcase Seahorse with the beautiful seahorses print is super hip for cool sweet girls! 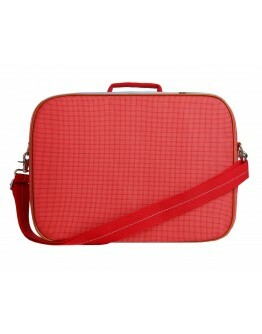 This suitcase of Jeune Premier is the most beautiful and most adorable suitcase ever! Fill in your suitcase with all your stuff when you go to grandma and grandpa, spending the night. 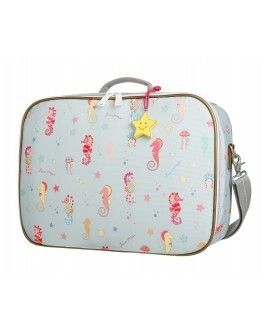 Or does your little one going to the nursery then it is useful to give a hug and some spare clothes in this fun suitcase. This Jeune P..
LilliputiensLilliputiens trolley forestLilliputiens trolley forest. Are you going to sleep one night at grandma or you are going out to sea for a week? Please take this forest-trolley with you and fill it with all your favorite stuff. 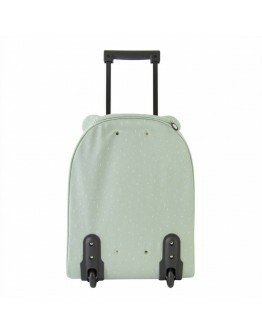 The belts and the large front pocket make sure that all your stuff neatly stay in place and thanks to the adjustable handle you can enjoy many years of this trolley. On the side there is even a pouch for your water bottle and and the tag allows you to wri.. 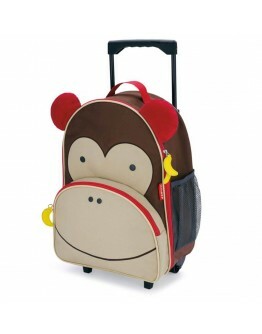 Skip Hop Trolley monkey This Zoo trolley from Skip Hop monkey is the ideal trolley when you go on a trip with school, perfect for school children. Funny and functional! Rolling with that trolley. 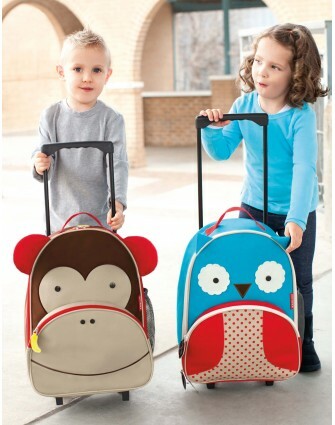 The nice details and durable materials make this perfect on the go trolley even more convenient for your cool kids! 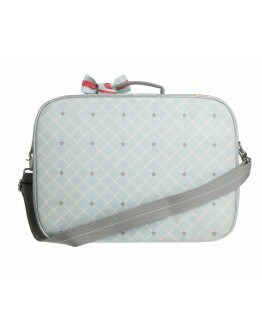 With enough room for all the things your toddler or toddler needs for a busy day full of fun and adventure. On the side a net that offers enough space for a bottle or bottle of water. 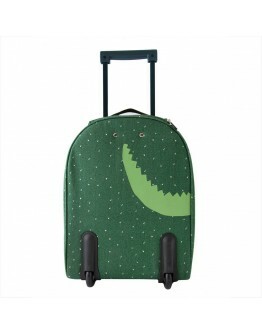 Ha..
Trixie Trixie trolley CrocodilleReady for your vacation? 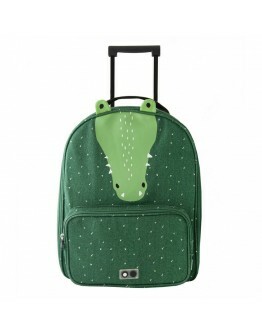 This original children's trolley, travel trolley from Trixie will take your child with you on a journey!This travel trolley crocodille Trixie has an adjustable and easy to slide out handle, perfectly adjusted to child size. Thanks to the strong wheels at the bottom of the trolley, your child can easily keep his bag with him and move back and forth smoothly. They are so sturdy that it can do no harm to fool around with the trolley, roll th..
Trixie Trixie trolley ElephantReady for your vacation? 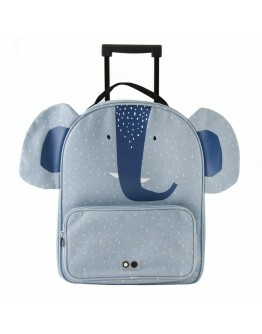 This original children's trolley, travel trolley from Trixie will take your child with you on a journey!This travel trolley elephant Trixie has an adjustable and easy to slide out handle, perfectly adjusted to child size. Thanks to the strong wheels at the bottom of the trolley, your child can easily keep his bag with him and move back and forth smoothly. They are so sturdy that it can do no harm to fool around with the trolley, roll the st..
Trixie Trixie trolley FoxReady for your vacation? 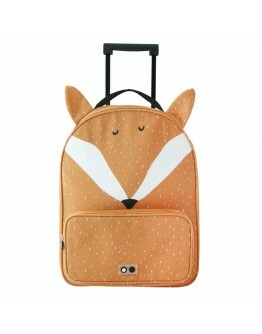 This original children's trolley, travel trolley from Trixie will take your child with you on a journey!This travel trolley fox Trixie has an adjustable and easy to slide out handle, perfectly adjusted to child size. Thanks to the strong wheels at the bottom of the trolley, your child can easily keep his bag with him and move back and forth smoothly. They are so sturdy that it can do no harm to fool around with the trolley, roll the stairs or mo..
Trixie Trixie trolley Polar bearReady for your vacation? This original children's trolley, travel trolley from Trixie will take your child with you on a journey!This travel trolley polar bear Trixie has an adjustable and easy to slide out handle, perfectly adjusted to child size. Thanks to the strong wheels at the bottom of the trolley, your child can easily keep his bag with him and move back and forth smoothly. They are so sturdy that it can do no harm to fool around with the trolley, roll th..